Unlike many cities in China with long and varied histories, Shanghai's history is quite short. The British opened a concession in Shanghai after the first Opium War and ignited Shanghai's evolution. Once a small fishing village on the edge of the muddy Huang Pu River, it has become one of the world's most modern and sophisticated cities. In 1842, the British established a "concession" by means of a forced treaty with the Qing Dynasty after China lost the first Opium War. Concessions were governed by the occupying country and were untouchable by Chinese law. The French, Americans and Japanese soon followed the British in establishing territories in Shanghai. By the 1930s, Shanghai had become the most important port in Asia and the world's largest trading and banking firms had set up house along the Bund. The Europeans' and Americans' tea, silk and porcelain import imbalance was paid for by selling cheap Indian opium to the Chinese. Shanghai by this time had become the most modern city in Asia - the Astor House Hotel has the first electric light bulb. It also had the reputation for being the most licentious as opium dens, houses of ill repute and the ease of escaping the law abound. No visas or passports were required on arrival and Shanghai soon became infamous as an exotic port-of-call. In the years leading up to World War II, Shanghai became a haven for Jews fleeing Nazi-controlled Europe. As many other countries closed their doors to immigrants in the lead up to the Second World War, over 20,000 Jewish refugees found asylum in Shanghai and created a lively settlement in the Hankou district, north of the Bund. The Japanese invaded Shanghai in 1937 and bombarded the city. Foreigners who could, evacuated en masse or suffered internment in Japanese camps outside the city. (A popular depiction of this is Steven Spielberg's Empire of the Sun starring a very young Christian Bale.) The Shanghai Jews were forbidden to leave their Honkou District settlement which became a Jewish ghetto but without the extremism of Nazi Germany (the Japanese were allies of Germany but didn't harbor the same feelings toward the group). At that point, Japanese controlled Shanghai and much of China's eastern coast until their defeat at the hands of the Allied Powers in 1945. The Allied governments had abandoned Shanghai during the War and sign their territorial concessions over to Chiang Kai-Shek and the Kuomintang government that later moved their headquarters from Shanghai to Kunming. The foreign concession era officially ended during the World War II. By 1949, Mao's Communists had defeated Chiang Kai-Shek's nationalist KMT government (which in turn, fled to Taiwan). Most foreigners have left Shanghai and the Chinese Communist state takes control of the city and all of the formerly privately-held businesses. Industry suffered until 1976 under the Cultural Revolution (1966-76) as hundreds of thousands of Shanghainese locals are sent to work in rural areas throughout China. The advent of Deng Xiaoping's open door policy allowed a commercial revival to take place in Shanghai. 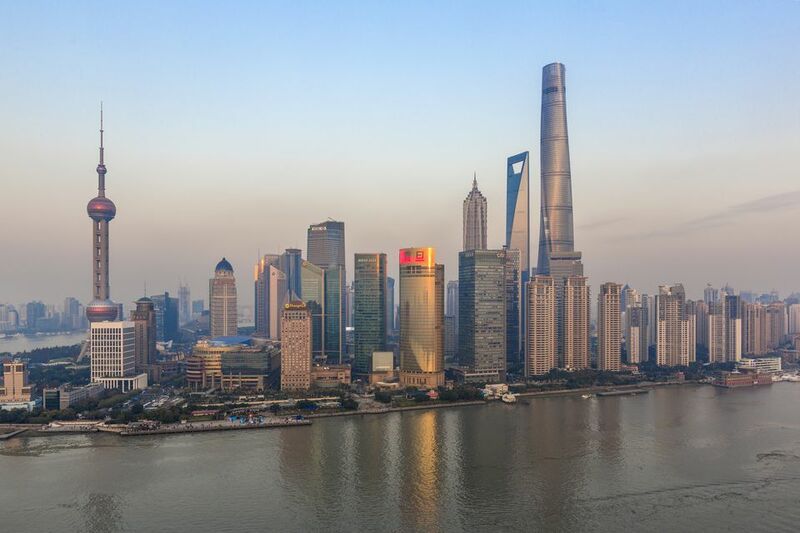 Shanghai has grown into one of the most cosmopolitan cities in Asia with increasingly modern infrastructure and services. It is China's second largest city (after Chongqing) with a population of over 23 million. It might be considered the yin to Beijing's yang. Known for being a commercial and financial powerhouse, it lacks the cultural finesse of the capital city. However, Shanghai people are proud of their city and a rivalry remains. Shanghai is home to many excellent contemporary art museums and galleries, is considered by China's government the seat of the country's financial sector and can now say it is home to Mainland China's first Disneyland resort. Shanghai is many things, but no longer a small fishing community.